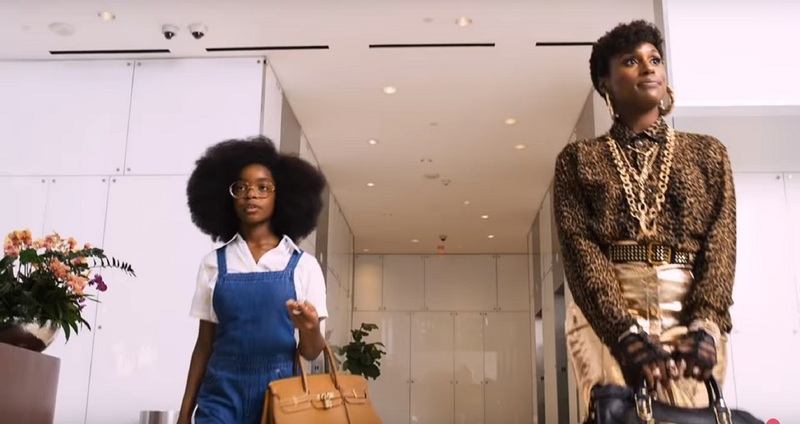 Marsai Martin and Issa Rae in Little. If you celebrated Black History Month in February and Women’s History Month in March, it seems only appropriate to wrap up the season by attending the 21st annual African American Women in Cinema Film Festival this weekend. African American Women in Cinema (AAWIC) will host film screenings, awards ceremonies, and panel discussions across Manhattan and Brooklyn this weekend to honor African American women directors, producers, screenwriters, and other filmmakers. The festival kicks off at the SVA Theatre tomorrow with a red-carpet screening of What Death Leaves Behind. Starring Christopher Mann of The Wire and House of Cards, the film follows a man’s struggle with nightmares after a kidney donation. There will also be an awards ceremony honoring producers Tia Smith and Rachel Ofori as well as New York First Lady Chirlane McCray, who is being recognized for her work on mental health care. On Thursday, there’ll be an advance screening of Little at the Lincoln Square AMC. The film stars Issa Rae (Insecure) and Regina Hall (Girls’ Trip) in a Big- or 13 Going on 30-style reversal. There will also be back-to-back screenings of short films Friday evening at St. Francis College in Brooklyn, including exciting titles like CTRL: An Ode to F**kboys and L.O.G.O.R.R.H.E.A. A few of the films take a special look at communities in New York City. Vivian Hernandez Ortiz’s documentary, AmeRican Poet: Tato Laviera, follows the life of poet and playwright Tato Laviera, one of the founding poets of the Nuyorican Poets Cafe in the East Village. Laviera wrote about the Puerto Rican experience in New York City and was especially well-known for his poem “AmeRican,” which explored Puerto Rican-American identity. Meanwhile, Paris Blues in Harlem tells a fictional story about the Paris Blues Jazz Club on Adam Clayton Powell Jr Boulevard. Directed, produced, and written by Nadhege Ptah, the film promises to grapple with questions of legacy and identity in gentrifying neighborhoods. The festival wraps up on Saturday with a screening of This Changes Everything, a documentary exploring issues of women’s representation in entertainment through interviews with the likes of Geena Davis, Meryl Streep, and Chloe Moretz.